What is a Nevada Last Will and Testament? Nevada Last Will and Testament: What Is It? In the state of Nevada, a Last Will and Testament is a document that a person (often referred to as a Testator) will create to legally declare what they wish to do with their assets and belongings once they die. 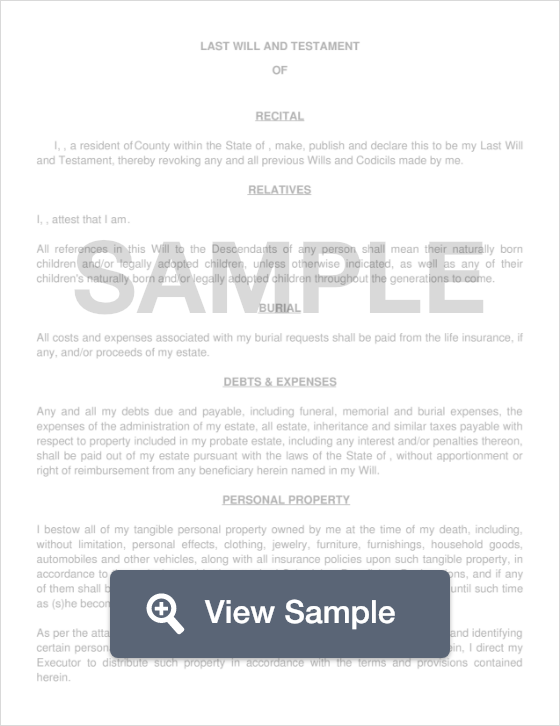 This document will contain all the necessary information to ensure that the Testator’s family, friends, and other beneficiaries know exactly what to do once he or she passes away. Wills are legal documents that can be upheld in court as long as the legal channels are followed. In order for one of these documents to be legally recognized in Nevada, it must be signed by two witnesses who both sign their name in the presence of the Testator. In addition, the document must be notarized by a Notary Public. Witnesses - According to NRS 133.040, the Will must be signed by two (2) Witnesses.